Drinking even a small amount of wine, beer or hard liquor every day raises the risk of breast cancer, a new study finds. Over the years, women have gotten conflicting advice about drinking alcoholic beverages and breast cancer risk and it can be confusing, lead author Dr. Anne McTiernan told CBS News. "There are a lot of different studies that often come up with different answers. People always say, 'This week I'm supposed to only drink one drink, last week it was two,'" said McTiernan, a cancer prevention expert at the Fred Hutchinson Cancer Research Center, in Seattle. To get a better understanding of the relationship between alcohol and breast cancer risk, McTiernan and colleagues performed a meta-analysis – they evaluated data from 10 previous studies involving pre-menopausal women and 22 studies involving post-menopausal women. They divvied up the data into those age groups because, McTiernan said, "Breast cancer is very different in the two groups." None of the studies included information on women who had a genetic risk for breast cancer. 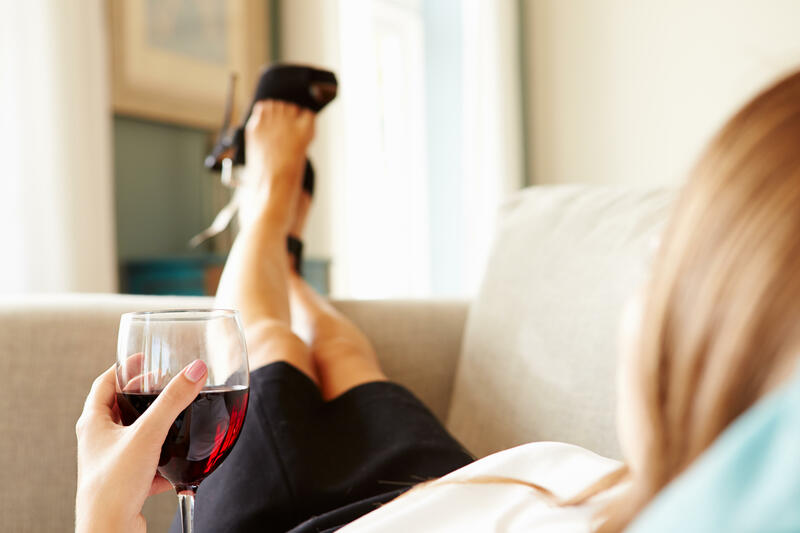 Their analysis found strong evidence that drinking the equivalent of a small glass of wine or beer a day – less than one standard serving – increases the risk of pre-menopausal breast cancer by 5 percent. In post-menopausal women, breast cancer risk increased 9 percent with a small daily serving of alcohol. The "small drink" was about 10 grams of alcohol, less than the amount in a standard drink, which is 14 grams (0.6 ounces) of alcohol, said McTiernan. 1.5 ounces or one "shot" of 80-proof (40% alcohol content) distilled spirits or liquor (e.g., gin, rum, vodka, whiskey). It didn't seem to matter which type of alcoholic beverage women imbibed. "We tried looking separately at beer, wine and spirits, but none jumped out as being more or less problematic. They all showed the same trends," McTiernan said. One drawback of the study was that drinking habits were all self-reported by the participants. The findings may leave some women wondering if they should avoid alcohol entirely, but McTiernan said, "We're not telling everybody to abstain. We're not saying anything other than small amounts do increase the risk for breast cancer." McTiernan does recommend women who choose to drink alcohol consume no more than one drink on average once a day, in line with the federal government's dietary guidelines. These findings are part of a larger report that looked at how diet, exercise and various other lifestyle factors affect the risk of developing breast cancer. In all, they analyzed 119 studies, including data on 12 million women and 260,000 cases of breast cancer, for the new report by the American Institute for Cancer Research and the World Cancer Research Fund. When it comes to physical activity, pre-menopausal women who were the most active had a 17 percent lower risk of developing breast cancer; post-menopausal women who were active had a 10 percent lower risk compared to sedentary women. Being overweight or obese increases the risk of post-menopausal breast cancer. Some evidence suggests eating non-starchy vegetables may be linked to a lower risk for estrogen-receptor (ER) negative breast cancers, a less common tumor. Limited evidence links dairy, diets high in calcium, and foods containing carotenoids — such as carrots, apricots, spinach and kale — to a lower risk of some breast cancers. "Even walking and gardening in the post-menopausal women was linked to a lower risk," said McTiernan, who noted that women should be getting at least 150 minutes of physical activity per week. Breast cancer is the most common form of cancer in U.S. women (aside from skins cancers). More than 252,000 new cases are expected to occur this year. American Institute for Cancer Research (AICR) stressed that while women can't control all of the factors linked to breast cancer risk, they can take steps to reduce their risk. Women can't start making healthy choices soon enough. McTiernan said younger women, teens and girls can practice healthy living habits now to help boost their odds against breast cancer in the future.